It’s been a quiet month here at Lawnchair, as I’ve just returned from the Rising Star Workshop, taking part in the analysis and description of new hominin remains from South Africa. We’ll have some exciting announcements to make in the near future. 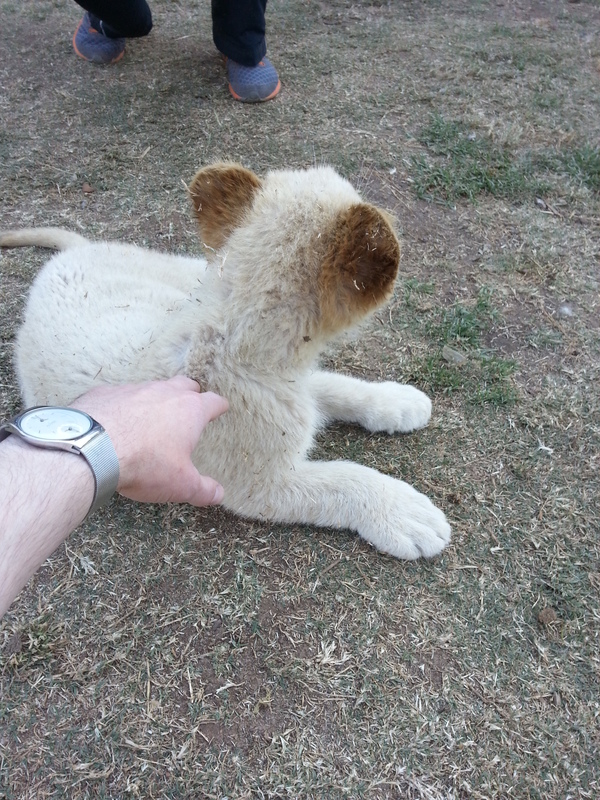 Also, I petted a ferocious, bloodthirsty lion! To ease back into the Lawnchair, I thought I’d resurrect eFfing Fossil Friday, a short-lived series from when I was collecting data for my dissertation three years ago (speaking of which, a paper related to my dissertation came out in AJPA during the Workshop, as well). A lot has happened since the last installment of FFF, so whose heads will be on the chopping block today? 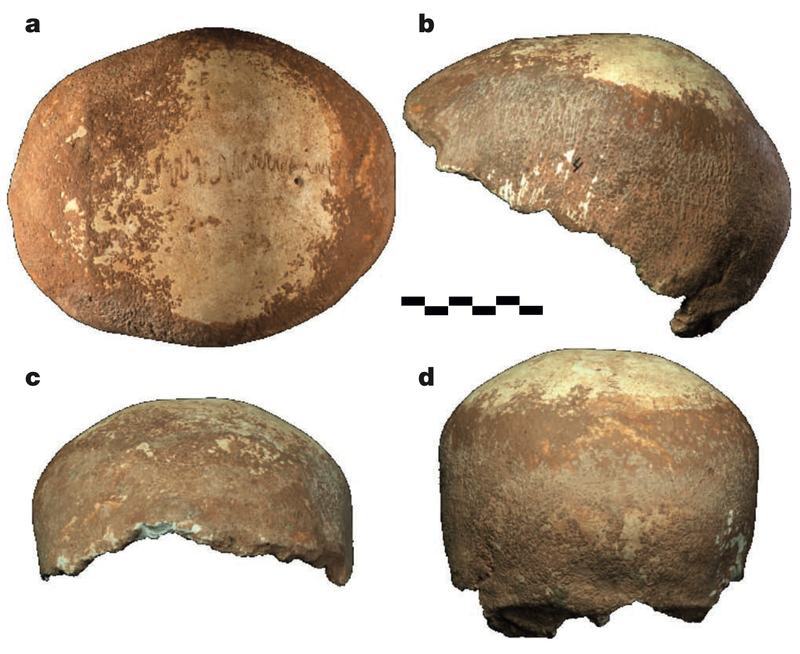 It’s new crania from Sima de los Huesos, Atapuerca! These are published today in the journal Science by Juan L. Arsuaga and colleagues. Sima de los Huesos is a pretty remarkable site in Spain dating to the Middle Pleistocene; the site is probably at least 400,000 years old, and the remains of at least 28 individuals. 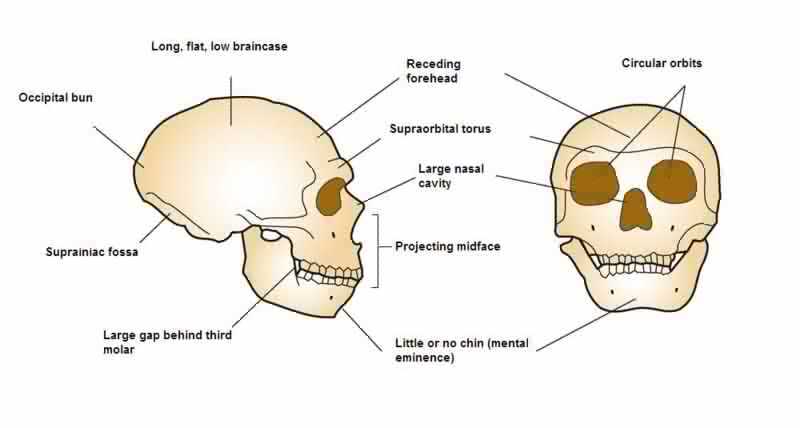 These specimens show many similarities with Neandertals who later inhabited the area, but don’t have all of the ‘classic’ Neandertal features. 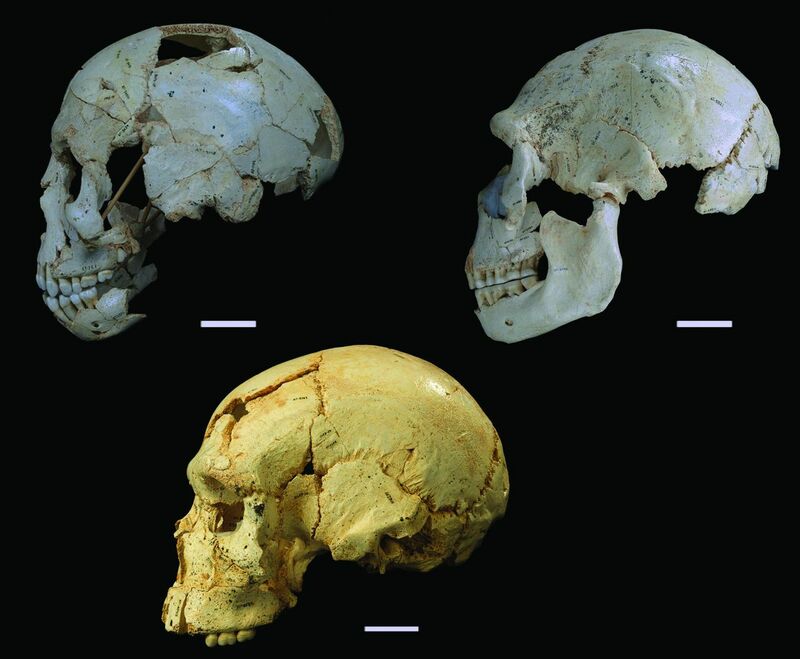 What I like about this figure from the paper is that the comparison of the adolescent (top left) with adults (the other two) shows how the skull changes during growth. The major visible difference is that the face sticks out in front of the brain case more in the adults than the adolescent. As a result, the adolescent lacks a supraorbital torus (“brow ridge”), but this would have developed as the face grew forward and away from the brain. Ontogeny! Evo-devo of the human shoulder? It’s a new year, and while my mind should be marred by a hangover, instead all I can think about are fossils and scapulas. A pretty cool study was published online in the Journal of Human Evolution last week, and I’ve finally gotten to peruse it. 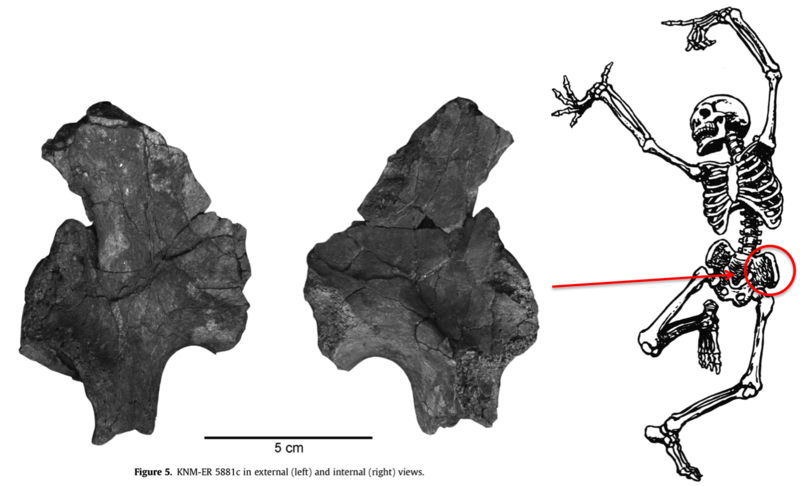 Fabio Di Vincenzo and colleagues analyzed the shape of the outline of the glenoid fossa on the scapula (not to be confused with the glenoid on your skull), from Australopithecus africanus to present day humans. The glenoid fossa is essentially the socket in the ball-and-socket joint of your shoulder. The authors found that there is pretty much a single trend of glenoid shape change from Australopithecus through the evolution of the genus Homo: from the fairly narrow joint in Australopithecus africanus and A. sediba, to the relatively wide joint in recent humans. The overall size and shape of the joint influences/reflects shoulder mobility, so presumably this shape change hints that more front-to-back arm motions became more important through the course of human evolution (authors suggest throwing in humans from the Late Pleistocene onward). 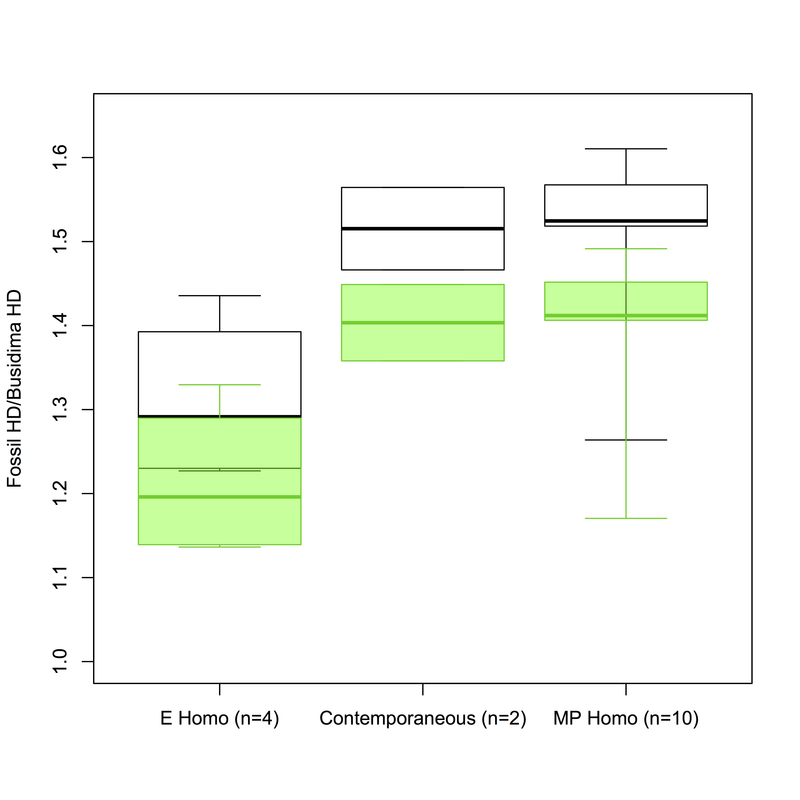 The finding of a single predominant trend in glenoid shape evolution is pretty interesting. On top of that, the authors add an ‘evo-devo’ twist by comparing species’ average “shapes” (first principle component scores, on the y-axis in the figure at right) with their estimated ages at skeletal maturity (which appears scaled to the modern human value, on the x-axis). 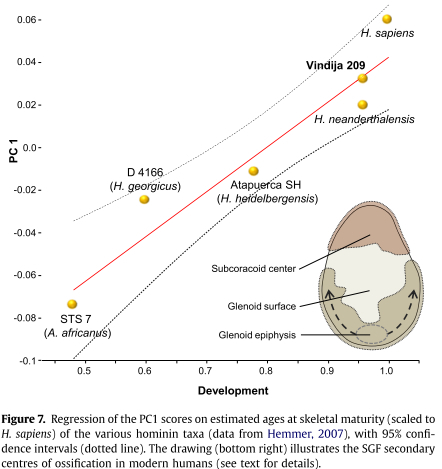 Though it’s not an ideal dataset for running a linear regression, the figure at right shows that there appears to be a fairly linear relationship across human evolution, such that groups with an older age at skeletal maturity tend to have a more rounded (modern human-like) glenoid fossa (note that the individuals in the analysis were all adults). Overall size does not contribute to shape variation among these glenoids. This work raises two issues, and ultimately leads to a testable evo-devo hypothesis. The first issue is to what extent we can trust their estimates of age at skeletal maturity. These estimates were allegedly taken from a chapter by Helmut Hemmer (2007) in the prohibitively expensive Handbook of Paleoanthropology. Cursorily glancing at this chapter, I can’t find age at skeletal maturation estimated for any hominids. It is possible that in my skimming I missed the estimates, or alternatively that Di Vincenzo and colleagues misinterpreted another variable as skeletal development. Either way, these estimates would still need to be taken with a grain of salt, given that it is almost impossible to know the true age at death of a fossil (but see Antoine et al. 2008), especially if there are no associated cranio-dental elements. The authors suggest that humans’ slower growth rates but longer growth period “led to longer periods of bone deposition along the inferior-lateral edge of the [glenoid fossa]” The heterochronic process they suggest is “peramorphosis” – the descendant reaches a shape that is ‘beyond’ that of the ancestor. 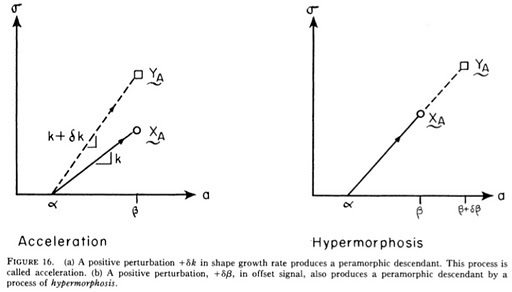 The figure above is from a seminal “heterochrony” paper by Pere Alberch and colleagues (1979), portraying how peramorphosis can occur. In each, the y-axis represents shape and the x-axis is age. A the descendant’s peramorphic shape (“Ya”) could result from accelerated growth (left graph) or from an extension of growth to later ages than in the ancestor (right graph). 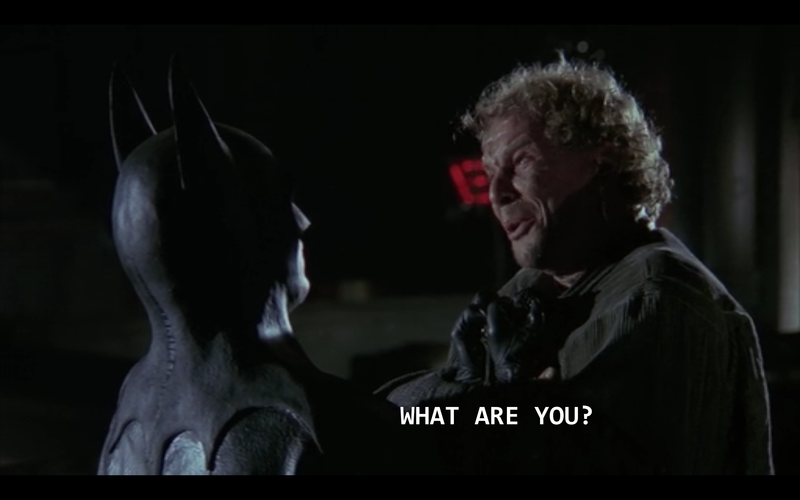 And so this leads to a testable hypothesis. Di Vincenzo and colleagues cite (dental) evidence that humans’ overall body growth rates are slower than earlier hominids’, undermining the hypothesis that acceleration is responsible for humans’ glenoid peramorphosis. Rather, they hypothesize that humans’ slower growth rates coupled with a longer period of skeletal development, to result in a relatively wider glenoid, due to increased development of the secondary growth centers (e.g. the graph at right, above). This developmental scenario predicts that subadult human glenoids should resemble earlier hominid adults’, that “ontogeny recapitulates phylogeny” as far as glenoid shape is concerned. Analyzing glenoid growth can even be extended to include fossils – the >3 million year old human ancestor Australopithecus afarensis has glenoids preserved for an infant (DIK-VP-1; Alemseged et al. 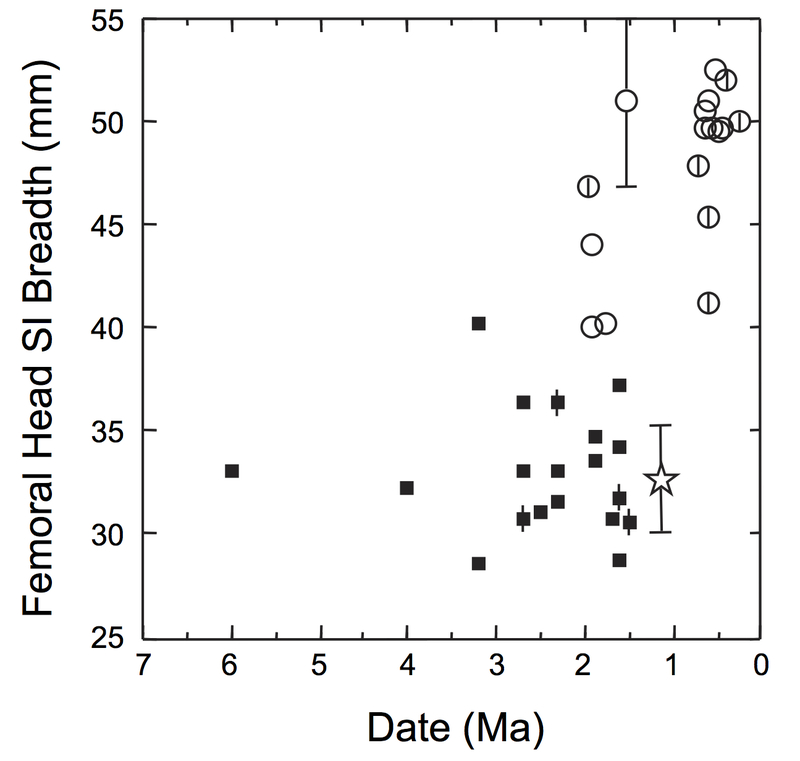 2006) and 2 adults (AL 288 “Lucy” and KSD-VP-1; Johanson et al. 1982, Haile-Selassie et al. 2010). 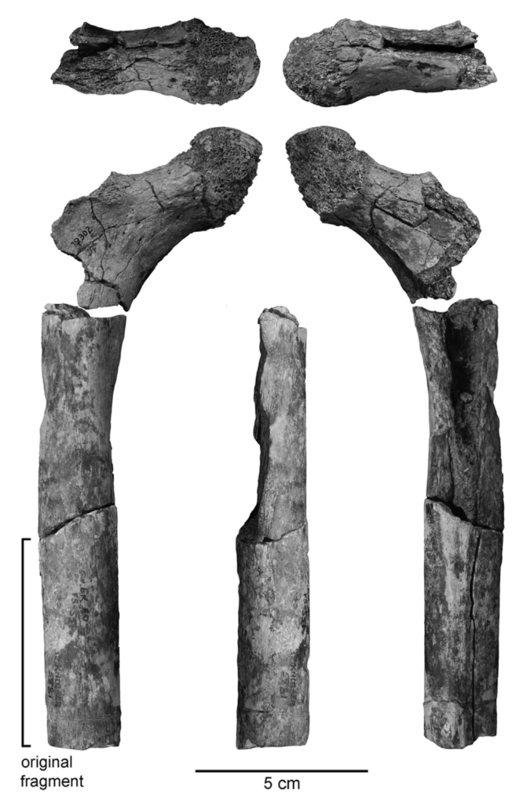 An alternate hypothesis is that species’ distinct glenoid shapes are established early during life (i.e. in utero), and/or that no simple heterochronic process is involved. Di Vincenzo’s and colleagues’ study points to the importance of development in understanding human evolution, and their hypothesized “evo-devo change” in glenoid shape is ripe for testing.